Nilo Hodge Photo Blog showcasing personal projects and recent work. I spent this weekend out in Brooklyn enjoying two days of awesome music and good vibes. 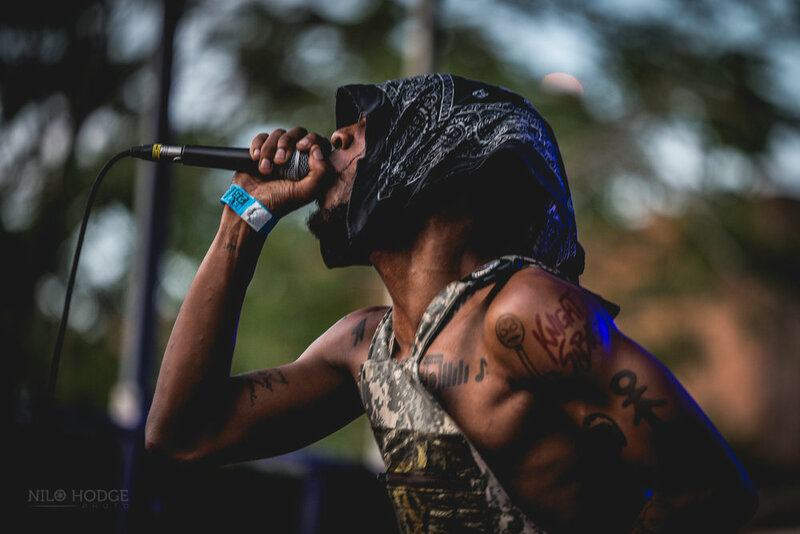 I went to AfroPunk fest for the first time last year and knew I had to go back this year with my camera in hand. There were a bunch of artists and bands playing that I listen to on a daily basis. On Saturday Damian and I caught JPEG Mafia. I read an article about him earlier this year and it mentioned how unforgettable his shows were. I knew I had to check him out and see what he was all about. The guy seemed super down to earth but ready to explode at the drop of the hat. From removing more and more of his outfit between songs to his ability to rouse a crowd to an insane mob of sweaty bodies, his set was one of the most exciting ones. I tried to capture the intensity in his face and how animated his performance was. If you have the opportunity to experience one of his shows don't miss it, you won't be disappointed! On the second day we showed up a bit earlier and this time it was 3 of us. We had about 5 shows we really wanted to see. I also wanted to grab a couple portraits of the some of the attendees. 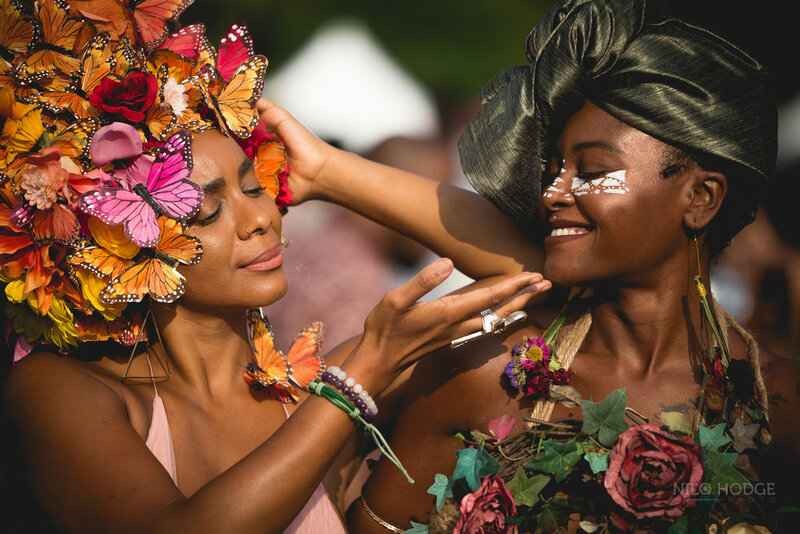 If you've never seen photos from AFROPUNK Fest, people absolutely go all out with the way they dress, do their hair and make-up. The first show we caught was Fantastic Negrito, He was on the main stage and we got there early enough to get very close to the stage. 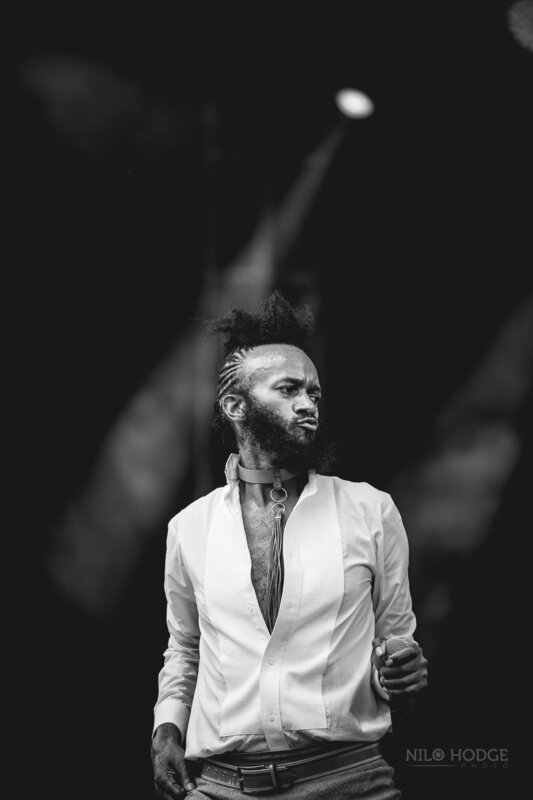 I've seen Fantastic Negrito perform before and it's always a great show. The way he dressed, contrasted with the lighting and the background of the stage really well. After Fantastic Negrito we hopped over to the next stage and caught Denzel Curry in the middle of his act. There were a significant amount of people watching his show so we couldn't get very close which made shooting photos pretty difficult and I walked away with none I was really happy with. 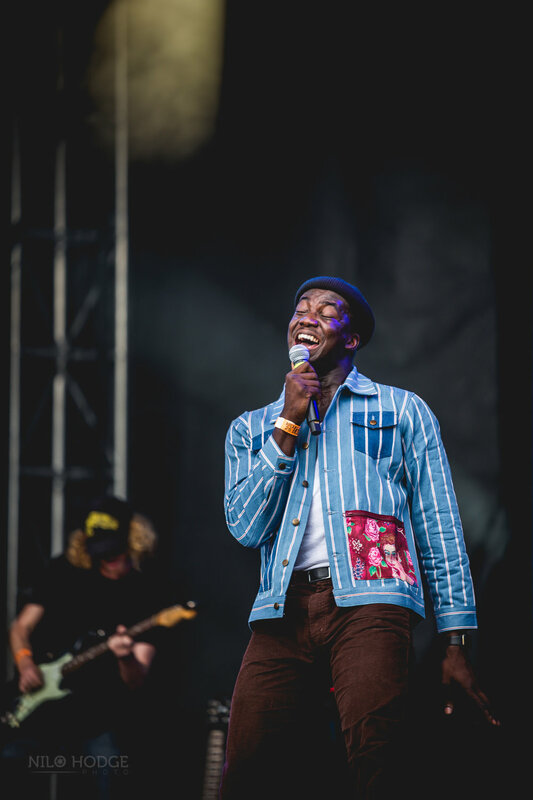 We watched him for a while and went back to the stage where Fantastic was just playing to catch Jacob Banks. My friend Ronnie introduced me to his music a little over a year ago and I've been listening to his stuff almost daily ever since. His voice was amazing. I feel like he entranced the crowd with his deep, baritone tone and prevalent stage presence. I was so glad I was close enough to get some decent photos with my telephoto lens. More so, he played all my favorite songs of his. After Jacob Banks was over we had a little time to kill before Pusha T. We ended up walking around the field and taking in the scene. There were people dressed as African royalty and African warriors. There were people from all walks of life and you could really feel the freedom in expression that the festival provided for people. I stumbled on a woman with a headdress of butterflies doing mystical poses in one of the fields. After she stood up another woman showed up. She was such a good contrast to the first woman. She adorned a fall color palette and had darker skin. They looked like Spring and Fall personified. They began to pose together and they created a sense of the cycles of the seasons. In the short few minutes they posed together, they drew a crowd of photographers including myself. I managed to capture some decent portraits all while dodging the lenses and cameras of other photographers. Before they moved along I snagged a 2 final shots of the second woman. We made our way over to the other stage where Pusha T was set to perform. We arrived around 45 mins early and I'm really glad we did because the crowd was quite big already in anticipation of the show. 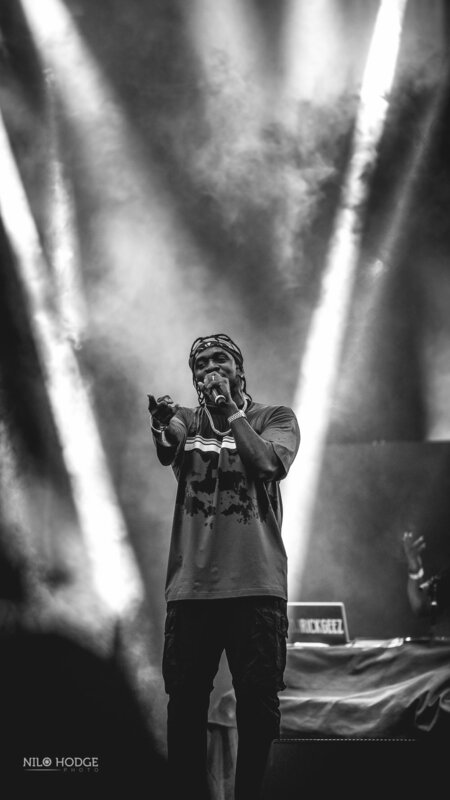 Pusha T is one of those artists that I've been listening to since I was still in high school and never had the chance to go see him live. Everyone in the crowd went crazy when he emerged from backstage and he immediately went into a song and everyone was immediately into it. He went through a bunch of his classic songs and features from the years. He also played new stuff off his new album. 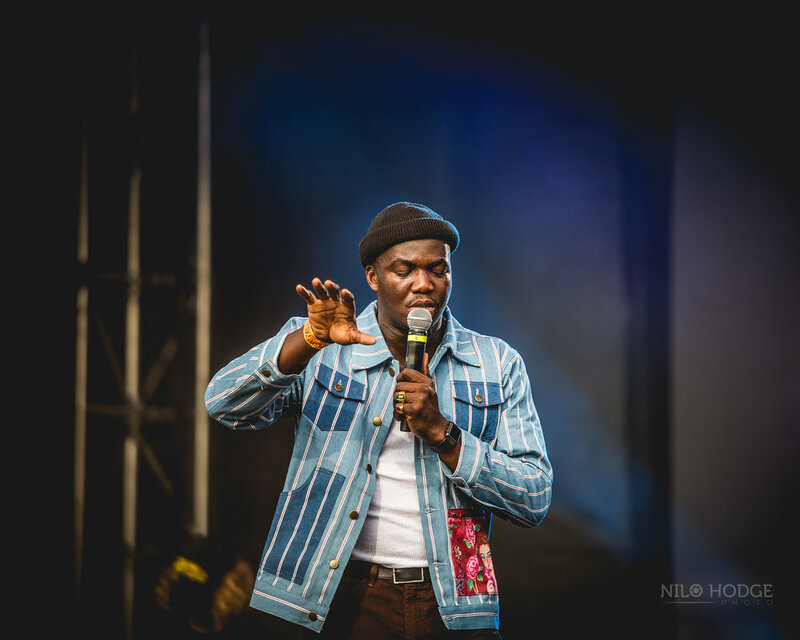 He brought so much energy to the stage and the crowd responded in the same. Luckily we had a great view Pusha T and Tyler the Creator was next on the same stage so we stayed in our same spot catch the next show. I'm super aware of Tyler's stage performance and how his crowds get, so I decided to put my expensive lens back in my back and shoot with my shorter more durable zoom lens. 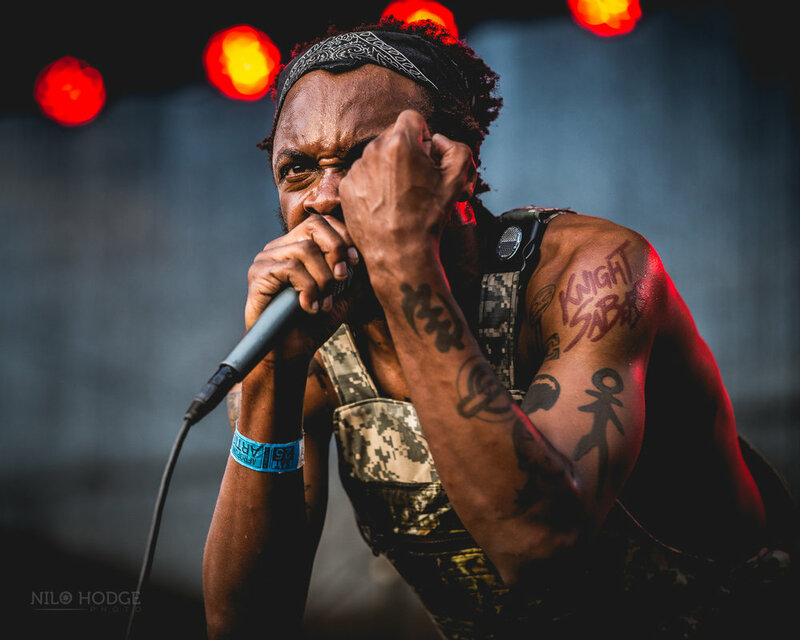 I had the chance to shoot about 3 photos between the 6 foot 6 fans jumping all over my back, drinks being flung in the air and the raging mosh pit of people. We left sea of overheated sweaty bodies a little early to attempt to cool down and hopefully get a good spot to see Erykah Badu. Unfortunately the field where she was performing was completely filled with people sitting on blankets, standing and dancing. It took us a pretty long time to make it forward to get a good view of the show. 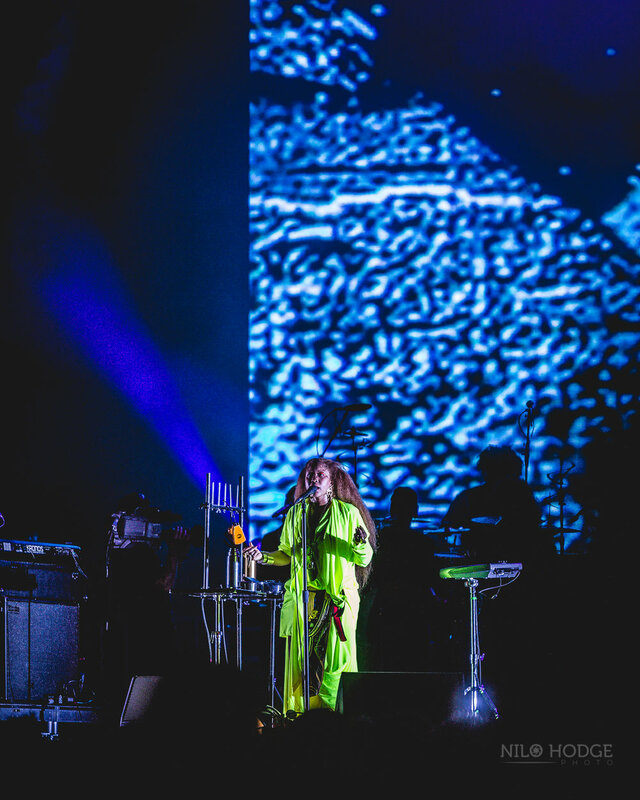 Erykah Badu was enchanting. When watching her perform, it felt like she was doing it only for you. She knew how to entrance a crowd and I'm pretty sure she could start a cult if she really wanted to. Once Erykah came on the stage, one of the women near me pulled out a bundle of sage. I must say I was a little confused at first but considering how many people were there and how hot it was the sage was a welcome aroma instead of the stench of body odor in the air. Her stage lighting was incredible to see and her performance was entirely mesmerizing. I loved how funny and endearing she was in between songs. I've been listening to her since I was a little kid and it was great to finally see her live. 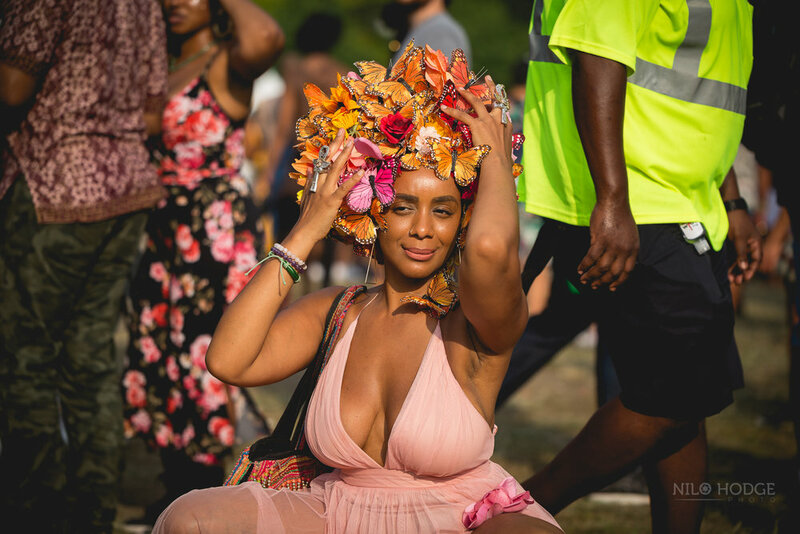 She completely embodies the feeling aesthetic of AFROPUNK fest. I had so much fun and I'm counting the days till the next one in Brooklyn. I highly suggest open minded people who love good music to go and experience what the festival has to offer. Ready to learn more about pricing and have other questions? Feel free to send me a message below!